The weather forecast keeps predicting a little bit of rain next week only to update its projections to blue skies and sunny. Until recently, I have really been enjoying the beautiful California weather and now the farmer in me is starting to get a little concerned. The hills are still as golden as they were in the fall. The only difference is that the oak trees don’t have leaves and the livestock have continued to eat what it could of the dry grass. There are little pockets of green grass next to roads where a hose may have leaked, but that is it. Late in the fall, we scurried to clean up our summer fields, get them mowed, disked and seeded to cover crops before the rains would stop our equipment from working in the fields. We were happy to have the dry weather then, but now those fields sit bare, with un-germinated cover crop seeds tucked into soil waiting for some moisture. 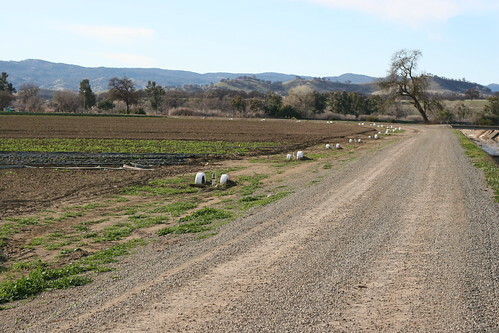 On some of the fields, we laid out our solid set aluminum sprinkler pipes and irrigated them to get the cover crop up. 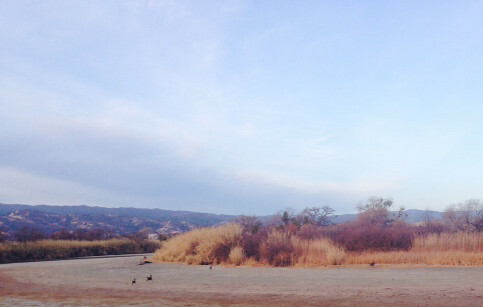 The harvest crews have been enjoying the dry weather. Harvesting the carrots, beets and leeks have been very easy to do, and our labor schedule has not had to account for a field too muddy to harvest. The dry and beautiful weather has provided us with some short-term benefits, but they are quickly fading away. Our first tomato seeds are being sown into the greenhouse this week. With that action, it is hard not to think about the complete crop cycle of those little plants. 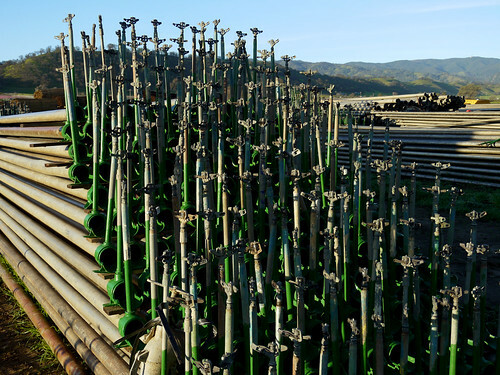 One of our main sources of water is an irrigation project that collects surface water in a lake and reservoir. I just looked at their current capacity, and it is over 100,000 acre-feet of water less than it was a year ago, and last year was an allocation year. Next week, we will come up with a plan to take care of our crops, assuming there is no irrigation water coming from the canal. The one thing we have working for us is that we sit on a healthy aquifer of groundwater that, if managed properly, will get us through this dry year. The big question is for how many more years will that aquifer need to support us? There exists the chance that February and March get really wet, but at this point, it is hard to assume that will be the case. Here at the farm, we are always keeping close tabs on the weather. Since it is a new year, we want to invite you to track the weather along with us. 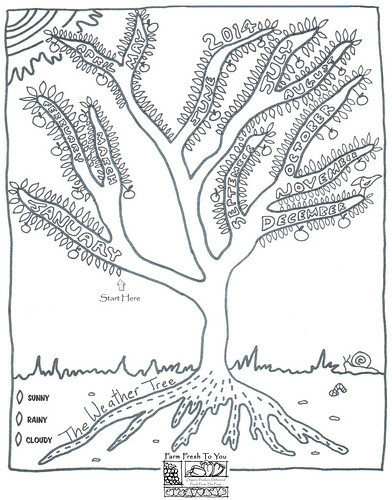 The Weather Tree consists of twelve branches to represent the twelve months of the year and each branch / month has a leaf for every day of that month. Choose different colors to represent various weather types and color in a leaf each day - colored pencils and felt tip pens seem to work best. At the end of the year you will have a unique record of the weather in your neighborhood. 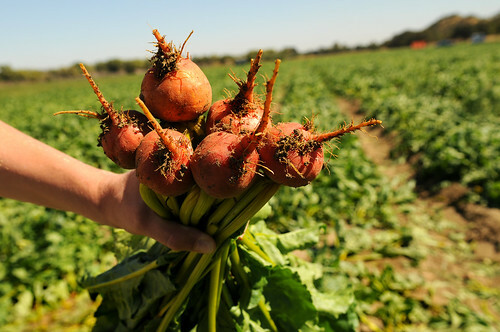 When people think of the term "sustainable agriculture," they may think about farming organically or conserving water. 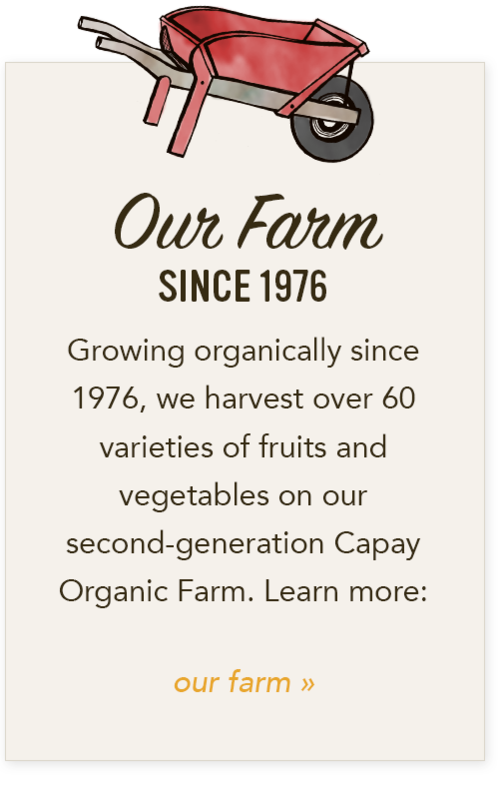 When we at Farm Fresh To You think about sustainability, of course we think about how we farm, but we also believe that sustainability has to do with how we contribute to our local community and economy. The holidays offer a time to reflect on community work and giving back. 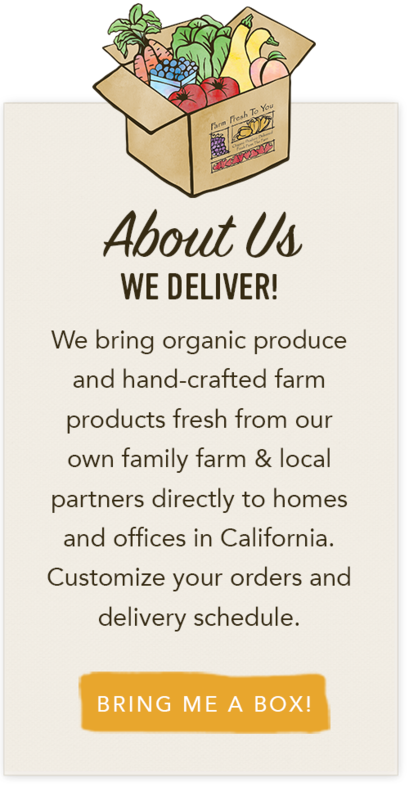 We have a strong outreach program through our CSA and farm that is integral to the sustainability work we do, and we want you to know that by subscribing to our CSA, you as our customers support our efforts in our delivery areas. What we have to give is produce, and we give a lot of it. 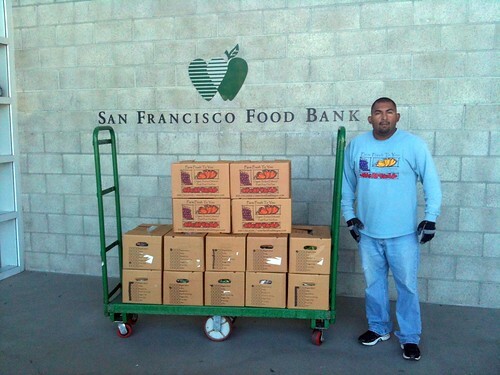 Last year, we donated over 100,000 pounds of produce to food banks. 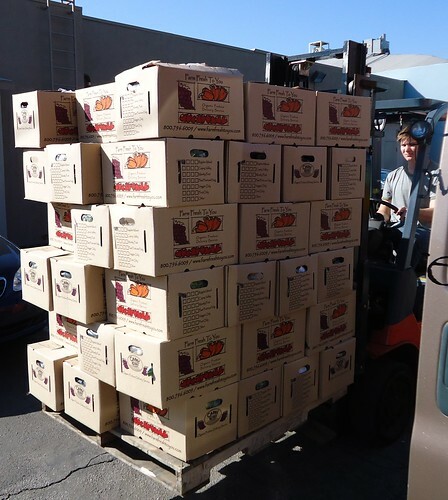 At the holiday time, we continue to donate bulk produce, but we also give Farm Fresh To You boxes to food banks in Northern and Southern California. This past year, we also started working with a program called Kids Farmers Market, which gives locally grown produce directly to students at elementary schools with a high percentages of free and reduced lunch participants. It has been one of the most rewarding programs for us as a farm. Putting some Satsuma mandarins into the hands of children is about as simple as it gets. 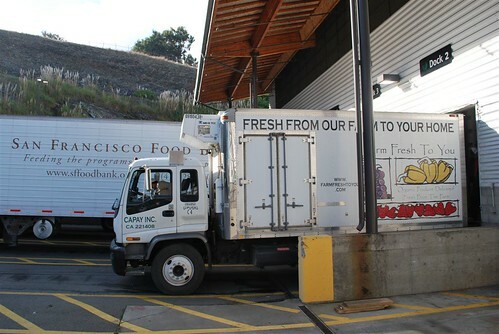 The kids get about 10lbs of produce from us and other farms to take home to their families. 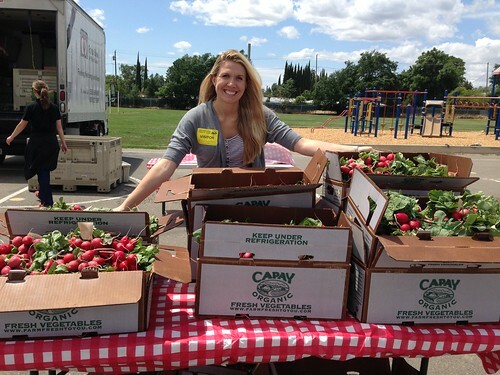 Our outreach team also supports organizations focused on healthy eating, sustainable agriculture and education. 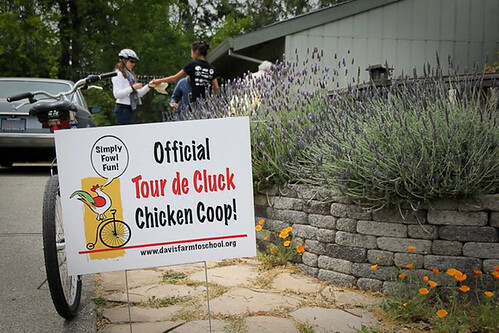 This year, we have supported everything from an American Diabetes Association run to a local chicken coop tour that benefited a farm-to-school organization. We enjoy working with organizations making a difference in these areas and again, we thank you, our members, for help making our community work possible. With the unseasonably sunny skies we've been having this winter, we've had gorgeous King Richard leeks coming in from the fields and into your boxes the past few weeks. Often loved for their buttery, mild-onion flavor, leeks are a versatile vegetable and popular both as a star-player and/or substitute for onions in a variety of dishes such as tarts, soups, casseroles, everyday sautés and scrambles. But for those new to this versatile veggie, we're often asked for cleaning and storage tips. Here's a few of our favorite tips for cleaning and saving leeks. With leeks, the crucial first step is cleaning them, as they can hold quite a lot of sandy soil. As the plant grows, soil can get trapped between its layers. Here are two helpful tips to clean your leeks. 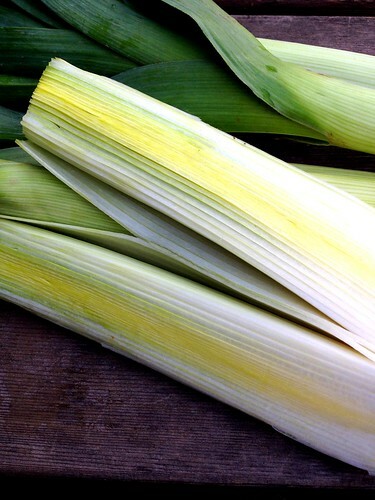 The method you use depends upon how you are going to use the leeks in cooking. Depending on what dish you’re making, you’ll use a small or large amount of the green stem. For stocks, most of the leeks can be used. For stir-fries or braising, use only the white part of the leek. Cut them in half lengthwise, keeping the root in tact. Run water over the whole leek rifling through the layers to give them a good rinse. If needed, do this a couple of times to make sure all of the fine sand is removed. 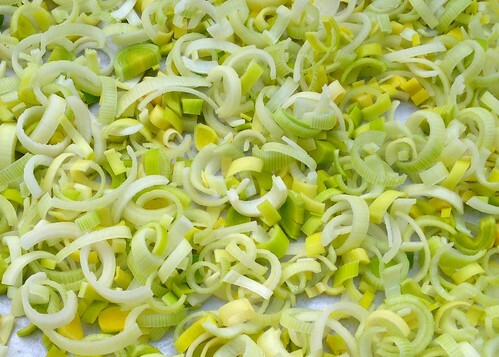 For recipes calling for chopped leeks, remove both the root and dark green leafy ends. Slice the remaining white stalk in half lengthwise, then chop crosswise to create half-moon shaped pieces. 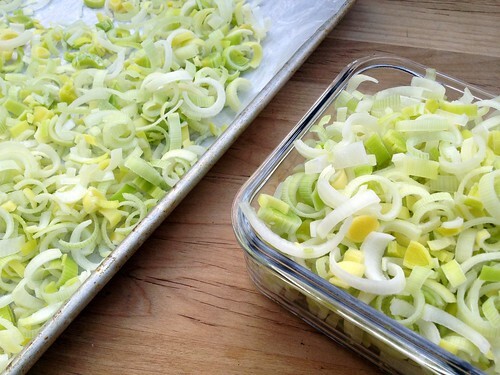 Place chopped leeks into a bowl and fill with cold water. Swish the leeks around vigorously to encourage any dirt or sand to sink to the bottom of the bowl. Let sit for a few minutes, then scoop out the clean leeks with a slotted spoon. Or if you're cleaning a lot of leeks, you can place the cut leeks in a colander then partially submerge the colander in a large bowl of water. Swish and clean leeks as you would above but quickly drain by pulling out the colander. 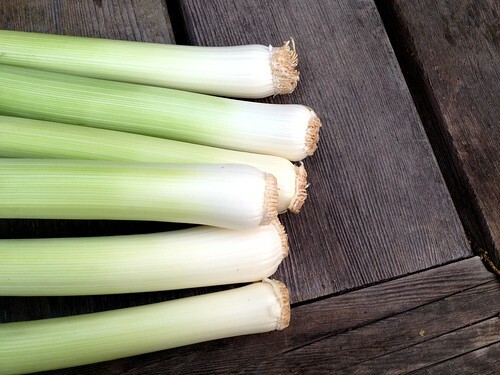 Leeks can be easily frozen for later use in soups, stews or casseroles. After cleaning, place cut leeks on a clean, dry towel and allow them to air dry. Flash freeze by placing them on a sheet tray in a single layer until just frozen. Placing a sheet of waxed paper on the tray before spreading out the leeks can make transfer once frozen a little easier. Once frozen, transfer to a re-usable, freezer-safe container. Use within 5 to 6 months (or before they get icy) for optimum flavor. When ready to cook, add to recipes without thawing.